As speculation grows and grows regarding the identity of potential replacements for Sam Allardyce at West Ham, we can reveal that the person who will ultimately take the helm has not yet even been mentioned in the media! With Moyes, Bilic, the German bloke etc all being rumoured the be in secret talks with the Davids and Lady Brady, there is a secret outsider who is yet to make their move. 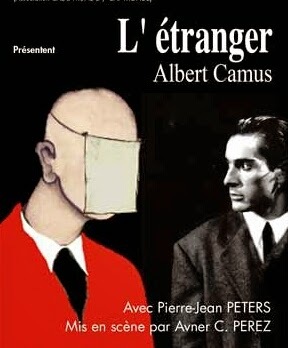 But, one wonders, who is this "etranger"? First up, thee is the possibility of Teddy Sheringham - not very experienced as the head honcho, but popular amongst the staff and there can be no doubting that his contribution to the more entertaining Hammers style of this season has been a big plus. All the same, a rooky and rates at 250/1. Then there's Hammers legend Alan Devonshire who only yesterday refused a new managerial contract at mighty Braintree town and is thus a free agent. Lacking in top level experience but definitely on the rise. 240/1. Or how about ladies man, julian Dicks? Certainly a good motivator But his forthright style might make even Big Sam seem like a softie. 300/1. Keeping with sentimentality, how about Paolo Di Canio? His Slumbrrrland adventure may have ended quickly (and badly) but he did well at Swindon pror to that and we certainly wouldnt get bored. 150/1. And finally, a potential player managr role for Kevin Nolan would allow for continuity in management style and whatever about whats left in those ageing legs, Captain Kev is a leader off the pitch. 100/1. Anybody wanna add to the outsiders list? If Bilic wont come why not try Igor Stimac? May as well add Father Xmas to the list, for all the good it will do. This are consistently my favourite articles about WHU, keep it up lads!